Read more about Fran's editorial experience. Writer Frances Pettey Davis lives in Summerland, California and is a columnist for Coastal View News. She has written for the Santa Barbara New-Press, the Santa Barbara Independent, the LA Times, and the Carpinteria Herald. Her stories, essays and poems regularly appear in magazines and print and online journals. Her literary work has been featured in Calyx, The Chattahoochee Review, The Vincent Brothers Review, Reed Magazine, Passager, Quercus Review, Re(Verb), Askew, Memoir, Luna, and the English journal Popshot Magazine, the anthologies Burning Bright, A Bird Black as the Sun, Buzz, Rare Feathers (published by Gunpowder Press) and several others. Her travel essays are published in Italy, A Love Story (2005) and Mexico, A Love Story, (2006) published by Seal Press, a division of Avalon Books. 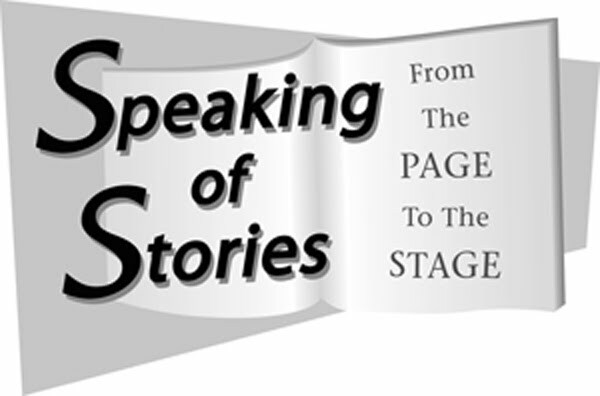 Her short story "Especially Babe" was performed at the professional actors' story theater, Speaking of Stories. In 2009, she was a featured poet for Arts in the Community, a TV segment on poetry inspired by Santa Cruz Island. In 2011, she was a featured poet at the Contemporary Arts Forum Santa Barbara Poetry Series. Fran is a winner of the Lamar York prize for nonfiction and a Pushcart prize nominee. I was once a member of the NRA. It was the Junior NRA, and I was 13 years old. I don’t remember joining, but I have the patch to prove I did. Maybe membership was simply a matter of going with my father down to the El Dorado County fairgrounds and shooting his .22 rifle at the targets fixed to bales in one of the exhibit buildings. It was a noisy enterprise, half a dozen kids with their dads plunking away at those circular bull’s eyes. The target practice was supervised by the county sheriff, a small, intense man with a black mustache. I was taught to shoot from various positions—sitting, standing, prone (I learned that prone meant on your stomach, not your back). I was a pretty good shot, too, better than my dad eventually. Young eyes, I guess. I grew up with guns. All my uncles and grandparents had them for hunting. My dad, an elementary school principal, grew up in Texas, where it seemed everyone hunted. My mother’s old California family had ranches in the Sierras. As a kid I remember they shot quite a few porcupines caught gnawing on the wood foundations of their cabins—hungry for the salt, they explained. They threw the carcasses down an abandoned dry well. I have a very old photo of a dead mountain lion positioned on a stump with a notation that it was shot by my great uncle Cullen. My guess is that it was after their cattle. They used guns for what they were designed for. If their livelihood was threatened by a predator, they shot it. My dad and uncles hunted quail, pheasant, deer and sometimes the jack rabbits that chewed the bark of young peach trees on another uncle’s ranch. In my memory my father never bagged a deer, but he liked to hunt. He liked to go out with a brother or a friend for a day and hike the countryside. He enjoyed being a sportsman. I understand that—sportsmanship and the camaraderie that grows up around it. But that was a long time ago, and the landscape that made my dad’s and uncles’ brand of sportsmanship possible—open fields, empty rolling hills, uncut forests—is gone in California now. The landscape has changed along with the weapons, which have grown ferociously more lethal, rapid fire, with high capacity magazines. An assault rifle is not a hunting rifle. It is only good for what its name implies—assaults. Like the unspeakably hellish assault on the children of Newtown. No individual, no sportsman, needs a rapid-fire military-type weapon for either hunting or home defense. I can’t imagine what those wise men who penned the famous Second Amendment would think of how broadly and out of whack its proviso for a “well-regulated militia” has become. We are a gun-loving country. There are an estimated 300 million guns in the U.S., one for nearly every citizen. You could argue that this is probably enough. On all kinds of levels we are better armed than the citizens of any other country. If it came to a shoot-out, we could put up a robust defense. Yet the NRA, with mega-support from gun and armament manufacturers, continues to press for completely unfettered access to even the most lethal assault weapons. The NRA’s suggestion, their “solution,” in the wake of the slaughter of the Connecticut innocents, is that every school should be guarded by an armed guard or police officer. I wonder what my father, a school principal charged with keeping kids safe, would have thought of this. A fair and decent man who thought education could almost save the world, my father would have been astonished, maybe outraged. What kind of an example would this set for our kids? What does it say about our society that we need armed guards inside our schools? It says that we, as a people, are both violent and fearful of violence. And the lesson for our children? That they need to be afraid, because obviously the ones in charge are afraid. I understand the other issues raised—our tolerance of movies and TV so drenched in violence that we become desensitized; our abysmal failure to anticipate when or whether a mentally ill person may turn psychopathic. But it was a .223-caliber Bushmaster rifle, essentially a weapon of war, that killed those children. Every mom and grandmother I know cried when they heard the news. Our tears should not end in helpless handwringing. There is one thing we can do, one small step we can take: ban the sale of any more assault weapons now. It would be the beginning of coming to our senses on the issue of guns, and the end, at least the beginning of the end, of one class of horrendously lethal weapons. As long as assault weapons with their multi-fire magazines are available and for sale at any gun show, we have no choice but to go on being very afraid. I draw my inspiration, if you can call it that, from Isak Dinesen, who said, "I write a little every day, without hope and without despair." Spring on the South Coast brings ripe strawberries, the fields a geometry of mounded rows, dozens of workers humped and bent over the green leaves. Good to remember this--that every luscious berry we pop into our mouths has been picked by a human hand. Working on a novel is like locking yourself up in the Winchester Mystery House while it's still under construction. You try to move from one room to another, but you don't know if any given door will lead somewhere or to a dead end. Second thought: Hemingway said that writing was simple, just sit down at a typewriter and bleed. But I'm finding it's more like curettage, at least at the draft stage, cutting away scar tissue to discover whatever is fresh below. Ack! Rumination: The act of chewing a cud (as a cow), meditation, reflective consideration.